Dublin, Ohio – Officials of the Memorial Tournament presented by Nationwide announced today that the Tournament has accepted entries from two-time Masters champion Bubba Watson, World No. 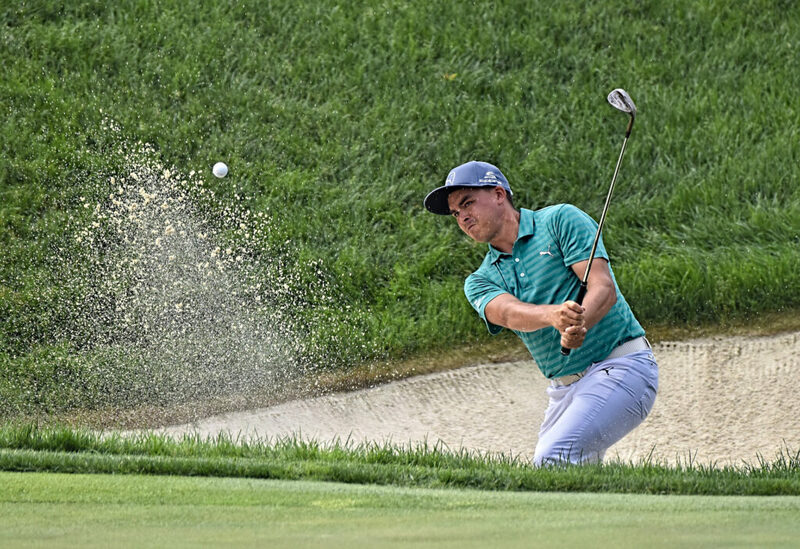 10 Rickie Fowler, and major championship winner Louis Oosthuizen to compete in the 42nd edition of the prestigious invitational hosted by golf legend Jack Nicklaus. The Memorial Tournament presented by Nationwide, to be held May 30 – June 5 at world-renowned Muirfield Village Golf Club, now boasts eight of the top 10 in the Official World Golf Ranking and all of the top 10 in FedExCup points. Watson, 38, recorded his first PGA TOUR title in 2010 at the Travelers Championship. He has since captured eight wins, his most recent coming in 2016 at the Northern Trust Open. Watson has claimed at least one TOUR victory in six of his past seven seasons, including two Masters titles and three multiple-win seasons in 2011, 2014 and 2015. A resident of Windermere, Fla., Watson has competed in 11 TOUR events in the 2016-2017 season and has recorded two top-10 finishes, bringing his career earnings to $35,950,013 on the PGA TOUR. The member of two U.S. Presidents Cup teams and three U.S. Ryder Cup teams is currently ranked No. 31 in the world and No. 118 in FedExCup points. Watson’s best finish in his 10 previous appearances at the Memorial Tournament is third in 2014. He finished T-65 last year. His scoring average at Muirfield Village Golf Club is 71.89 and his career earnings in the Tournament total $670,411.25. Fowler, 28, has been a fan favorite on the PGA TOUR since turning professional in 2009. Since then, he has garnered $26,338,262 in career TOUR earnings; played on three Ryder Cup teams (2010, 2014 and 2016); and posted four PGA TOUR victories—his first in 2012 at the Wells Fargo Championship and his latest coming at the 2017 Honda Classic in February. In 2014, Fowler finished inside the top-5 in all four major championships, tying for second at the U.S. Open and Open Championships. He has posted top-12 finishes at the Masters Tournament three of the past four years. A resident of Jupiter, Fla., Fowler has posted four top-10 finishes in 10 starts this season, including his Honda Classic win on the Jack Nicklaus-designed Champion Course at PGA National and placing third at the Shell Houston Open. Fowler is ranked No. 10 in the world and No. 8 in FedExCup points. This year will mark his eighth Memorial Tournament start. He posted his best finish in his first appearance in 2010 with a runner-up effort to Rose. His career Tournament earnings total $745,464 and his scoring average is 71.59. He missed the cut last year with rounds of 75-69. Oosthuizen will be making his first appearance at Muirfield Village Golf Club since competing as a member of the International Presidents Cup team in 2013. The previous year he made his lone Memorial Tournament start but missed the cut after rounds of 75 and 80. The 34-year-old South African has recorded 12 international victories, including the 2010 Open Championship at St Andrews, and is ranked No. 18 in the world and No. 32 in FedExCup points. In 10 starts this season on the PGA TOUR, Oosthuizen has captured two top-10 finishes, including T-2 at THE PLAYERS Championship and a third-place effort at the Waste Management Phoenix Open. His career PGA TOUR earnings total $14,423,150. Badges and package options for the 42nd Memorial Tournament remain available through Sunday, are $290 each and provide access to the Tournament grounds and the Golden Bear Club, a climate controlled venue located in the heart of Tournament play between Hole No. 10 fairway and No. 14 green. The Golden Bear Club provides access to a menu of catered items for purchase, a cash bar, television viewing, private restrooms, scoring terminals and open seating in a sports bar atmosphere. For badges to the 2017 Memorial Tournament presented by Nationwide, the public may call the Tournament Ticket Office from 9 a.m. to 5 p.m. weekdays at 877-MT BADGE (877-682-2343) or visit memorialbadges.com. Kids 18 and under can attend for free with a ticketed adult. Daily practice round tickets for Wednesday are also available. The cost is $35 and they are valid for all three practice round days.